SMURFS: THE LOST VILLAGE (May 31, 2017 release). 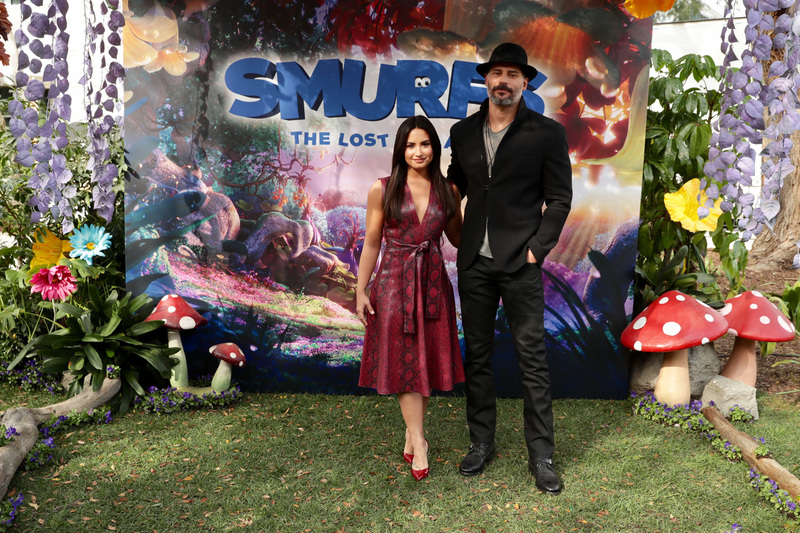 Newly announced voice cast includes: Michelle Rodriguez (SmurfStorm), Ellie Kemper (SmurfBlossom), Ariel Winter (SmurfLily) and Julia Roberts (SmurfWillow), all residents of the title’s Lost Village. Special voice cameos to include: Gordon Ramsay (Baker), Gabriel Iglesias (Jokey), Tituss Burgess (Vanity), Jeff Dunham (Farmer), Jake Johnson (Grouchy), and director Kelly Asbury (Nosey). 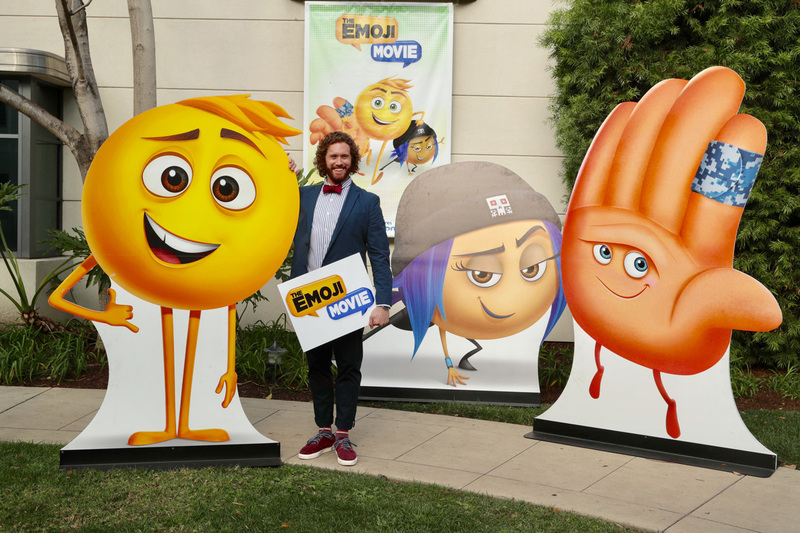 THE EMOJI MOVIE ( August 11, 2017 release). Newly announced voice cast: Jennifer Coolidge (Gene’s mother, Mary Meh), Maya Rudolph (Smiler), Jake T. Austin (Alex), and Sir Patrick Stewart (Poop). THE STAR (December 8, 2017 release). The voice cast will be led by Steven Yeun (Bo the donkey), Kelly Clarkson (Leah the horse), Aidy Bryant (Ruth the sheep), Keegan-Michael Key (Dave the dove), Kristin Chenoweth (Mouse), Anthony Anderson (Zach the goat), Gabriel Iglesias (Rufus the dog), Ving Rhames (Thaddeus the dog), Delilah Rene (Elizabeth), Kris Kristofferson (Old Donkey), Gina Rodriguez (Mary), Zachary Levi (Joseph), with Oprah Winfrey (Deborah), Tyler Perry (Cyrus) and Tracy Morgan (Felix) as the three camels, and Christopher Plummer (King Herod). THE STAR is directed by Academy Award® nominated writer/director Timothy Reckart; executive-produced by DeVon Franklin (Miracles from Heaven), Lisa Henson and Brian Henson (The Jim Henson Company); produced by Jenni Magee Cook; with a story by Carlos Kotkin and Simon Moore; and screenplay by Carlos Kotkin. Digital animation by Cinesite Studios. HOTEL TRANSYLVANIA 3 (September 21, 2018 release). Mavis surprises Dracula with a family voyage on a luxury Monster Cruise Ship so he can take a vacation from providing everyone else’s vacation at the hotel. The rest of Drac’s Pack cannot resist going along and once they leave port, romance zings Drac when he meets the mysterious ship captain Ericka. Now it’s Mavis’ turn to play the overprotective parent, keeping her dad and Ericka apart. Little do they know that his “too good to be true” love interest is actually a descendent of Van Helsing, arch nemesis to Dracula and all monsters! Director Genndy Tartakovsky (Samurai Jack, Star Wars: Clone Wars) is back in the director’s chair, along with Michelle Murdocca back producing and Adam Sandler executive-producing, with a screenplay by Genndy Tartakovsky and Michael McCullers. UNTITLED ANIMATED SPIDER-MAN (December 21, 2018 release). From Phil Lord & Christopher Miller, the geniuses behind The LEGO Movie, comes an animated Spider-Man feature starring Miles Morales. The feature is directed by Bob Persichetti (head of story on Puss in Boots and The Little Prince) and Peter Ramsey (Rise of the Guardians). The film is written by Phil Lord. Avi Arad (Iron Man, Spider-Man), Amy Pascal (Spider-Man: Homecoming), Phil Lord & Christopher Miller (Untitled Han Solo Movie) are executive producing; Christina Steinberg is producing. VIVO (December 18, 2020 release). Lin-Manuel Miranda, the award-winning (Emmy, Tony, Grammy, Olivier, Pulitzer Prize and MacArthur “Genius Grant” recipient) creative force behind the groundbreaking Broadway musical Hamilton, writes new songs for this musical animated feature. Academy Award® nominated director Kirk De Micco (The Croods) is set to helm a script by Pulitzer Prize winner Quiara Alegría Hudes (In the Heights). Academy Award® nominated producer Laurence Mark (Dreamgirls, Julie & Julia) serves as executive producer, and Lisa Stewart produces.